Armed with a flight instructor’s typical toolbox of an expansive whiteboard, dry erase markers, and a computer projected flight manual, Laurent Coulon, a Hélicoptères Guimbal Cabri G2 factory pilot, held court over a captivated audience at Precision Helicopters in Oregon. Precision hosted Coulon along with Cabri instructors and pilots for a multi-day advanced training course designed to provide the first factory equivalent training session in the United States. Seated among a group of pilots with Coulon at the helm, I listened with an ear typically tuned to a frequency of Robinson-related understanding when discussing piston helicopters. 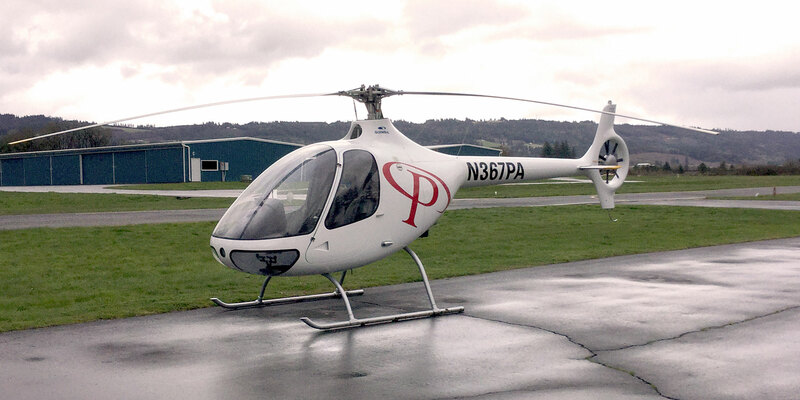 As discussed in depth by Coulon, however, the Cabri G2 differs from the Robinson R22 in multiple capacities. I would come to immediately recognize these differences later in the day when I had the opportunity to fly the Cabri. With a fully articulated three-blade main rotor system, fenestron tail rotor, and composite airframe, the Cabri certainly stands out from other piston training helicopters. A Lycoming O360-J2A serves as the aircraft’s powerplant, and pricing for the helicopter sits around $400,000. While that price tag may induce sticker shock for a buyer who could purchase a Robinson R22 for something in the ballpark of $250,000, Coulon explained the value of the aircraft is apparent when it comes to safety and associated maintenance costs. Training costs in the Cabri have been averaging $430 to $450 per flight hour in the U.S., certainly more expensive when compared to most other piston training helicopters, but Kunz said cost has not been an overwhelmingly limiting factor. “We’re seeing this shift and change away from the Robinson product and its narrow flight envelope. The Cabri gives the student a lot more freedom to make mistakes while still remaining safe and has a much larger operating envelope,” said Kunz. The French aircraft has been actively establishing itself in the U.S. market. Kunz estimated that in the U.S., there are approximately 20 to 25 Cabri instructors and 24 Cabri helicopters with 28 expected in the country by the end of the year. Coulon said the largest Cabri fleets are operating in England and New Zealand, with the U.S. falling into a third-place operating ranking. “Step by step, people are preferring to fly with the Cabri. It is much safer for training,” he said.